A lot of little girls, at some point or another, want to be ballerinas when they grow up, and I was no exception. Even though I’ve not got a ballet bone in my body, I still love a good story set in the world of ballet. Dance of Shadows is one such book, following Vanessa Adler as she starts her first year at the New York Ballet Academy (NYBA). But this isn’t a Dirty Dancing or Strictly Ballroom in book form about ballet, this is Black Swan all the way. Vanessa’s sister Margaret also attended NYBA, and mysteriously went missing – no one’s heard from her in years. Having got into NYBA, Vanessa is pulled to the school by the memory of her sister, and the hope that maybe she can find her. Making new friends – TJ, Steffie, Blaine and Elly – Dance of Shadows starts like a typical teen novel (ignoring the prologue, which I’ll come to later). There’s even a bit of romance – the handsome, talented older ballet dancer called Zeppelin – and your requisite mean girls – beautiful, blonde, bitchy ballet dancers. But Dance of Shadows is so much more than that. The book opens in the midst of a ballet rehearsal with a girl named Chloe and a troupe of dancers, a male choreographer pushing her harder and harder…until she explodes into flame and ash. You weren’t expecting that, were you? 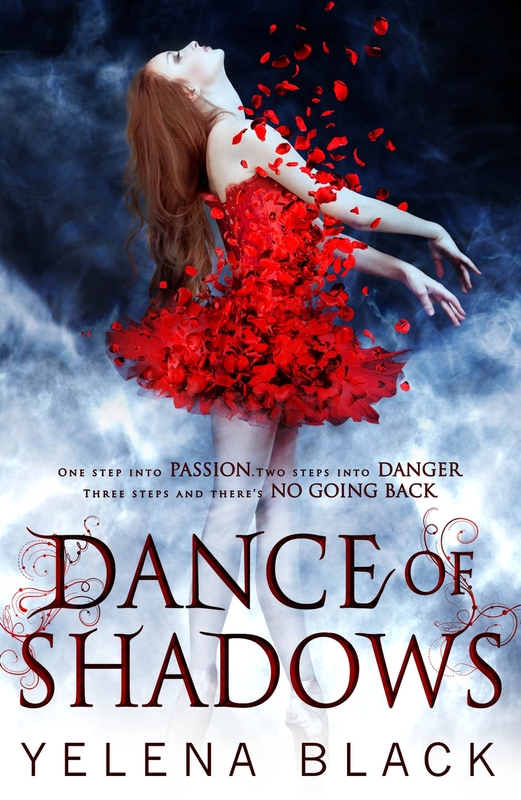 Dance of Shadows combines supernatural and paranormal elements with Vanessa’s life as a ballet student, but while you know something out of this world is going on for most of the book, you don’t quite know what until close to the end. Black seamlessly combines the otherworldly elements into her tale of teenage life, making sure to build a world real enough that those parts doesn’t seem so out of that world. The characters are fascinating, starting with Vanessa, a supremely talented ballet dancer whose passion isn’t quite ballet. She pushes herself to be better and better, but there’s something lingering beneath the surface that she wants more, and that she’s having a hard time putting her finger on. Her friends are well drawn, and provide a great support system, plus help build the scenes showing normal aspects of teen life – stresses over school work, hatred of teachers, crushes on unobtainable people. Then there’s Zep – kind of mysterious, kind of creepy. He’s slightly less well rendered, but only because we see him through Vanessa’s eyes. She’s enamoured with him, so it takes her a lot longer than it takes the reader to work out there’s something weird about him. We can step back from Vanessa’s view and see him much more clearly than Vanessa does. Choreographers Hilda and Josef are dark and cruel, focused completely on moulding perfect dancers. My favourite character is Justin, a ballet dancer a few years older than Vanessa, and who winds her up to no end. Because of her infatuation with Zep, Vanessa isn’t able to see Justin properly, but I liked him from the beginning, knowing Vanessa’s view of him was deliberately clouded by the way Black had Vanessa see him. Dance of Shadows is a dark tale, and it didn’t have a completely happy ending – I thought it was brave to end it the way it did. Black leaves the reader with plenty of questions, which will hopefully be answered in the remaining two books of the series. Thanks for the comment. Dance of Shadows is definitely worth a read if you can get your hands on a copy – my only annoyance is that I now have to wait a while for the sequel! UK release date was February 12. I loooved this. Glad you did too, and I am so looking forward to see what happens next. I didn't think I was going to enjoy it as much as I did, but I'm definitely eagerly anticipating the sequel(s).